Are you enjoying your summer? Everyone is coming and going all over the planet. We were lucky that Christopher Draven decided to have a little chat with us here at Supernatural Central. 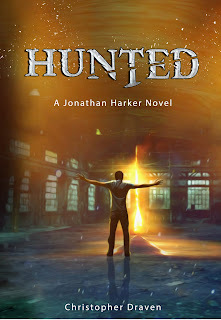 CD: Well, the main character in Hunted: A Jonathan Harker Novel, is an itinerant mage who hunts demons. SC: Demons. Never a fun group of people. Do you believe in the paranormal and if so, do you have an experience you can share? CD: It would be impertinent of me, or any person, to fully dismiss the paranormal. Most world religions are filled with stories of paranormal happenings. Human history is rife with subjects that extended beyond conventional wisdom, which were then explained through science, mathematics, or other means. CD: I am currently work on book two of the Jonathan Harker Novels series. The book is due out in October, 2017. SC: Then we won't keep you any longer. Thanks for stopping by. We're going to take a look at your novel HUNTED now. 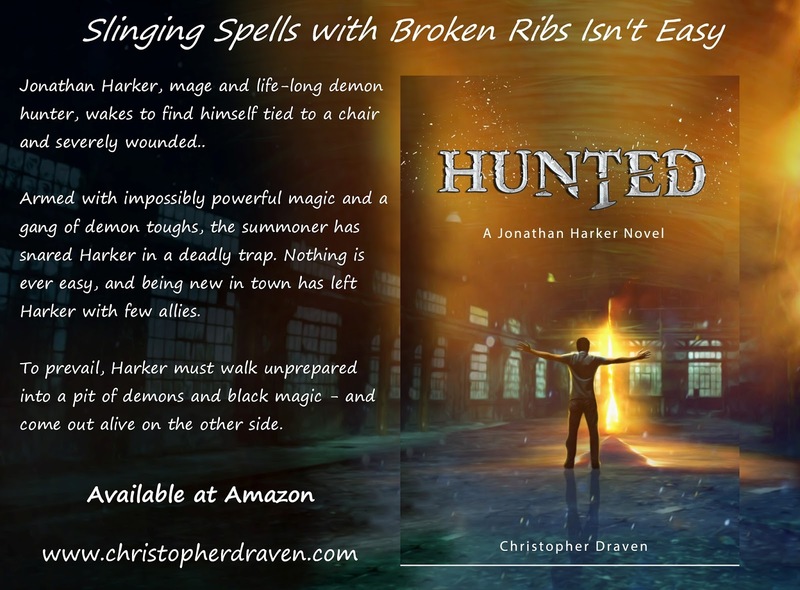 Jonathan Harker, mage and life-long demon hunter, wakes to find himself tied to a chair and severely wounded. His captor, a demon in service to a summoner who wants Harker alive. Armed with impossibly powerful magic and a gang of demon toughs, the summoner has snared Harker in a deadly trap. Nothing is ever easy, and being new in town has left Harker with few allies. However, with help from a Fortune-Teller named Clover and a self-described "Kitchen Witch" named Momma Dee, Harker fights back. 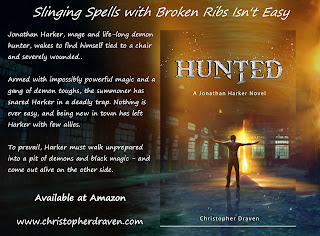 To prevail, Harker must walk unprepared into a pit of demons and black magic - and come out alive on the other side. My brain righted itself, and I could pull my thoughts together. Neither demon seemed to possess magic. Instead, the creatures relied on their strength and speed. There was no matching those physical attributes. To survive, I would need to use a different tactic. Direct confrontation had failed, twice. My next trick was misdirection. Both demons, who were whispering to one another across the room, turned to face me. “You know us,” Cresh said with a tone of surprise. The demon still pressed one hand tightly against his wounded side. Cresh huffed a small laugh; Mindal growled. Well, I thought. I know which one is the smart one. Christopher Draven has worked as an instructional designer, newspaper journalist, and ghost writer. One soggy Monday morning, he committed to leaving behind the soul-stealing work of corporate puppetry and escaped to a meadow where he could concentrate on his passion. Since that fateful day, Christopher has focused on learning the craft of fiction. 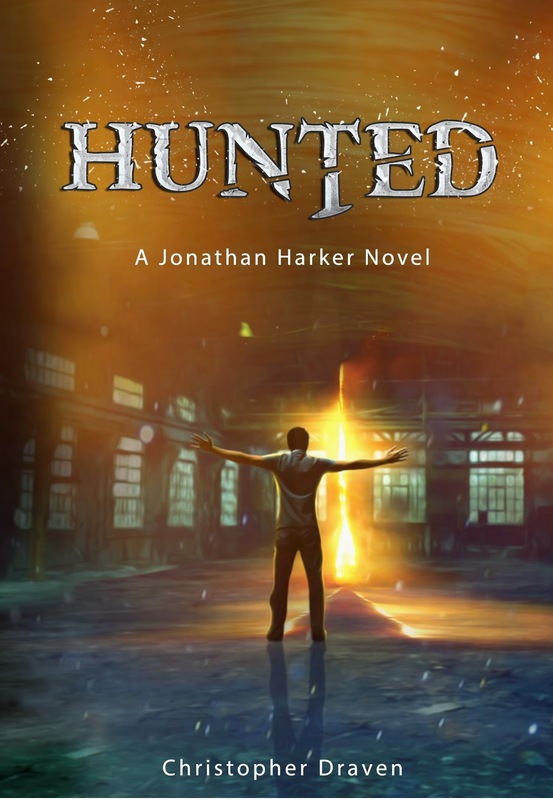 Hunted: A Jonathan Harker Novel was Christopher’s debut, and his best friend said it was swell.